HaloPal - Relive, Analyse & Share. An Unofficial Companion App for Halo 5. App Data & Review - Entertainment - Apps Rankings! HaloPal - Relive, Analyse & Share. 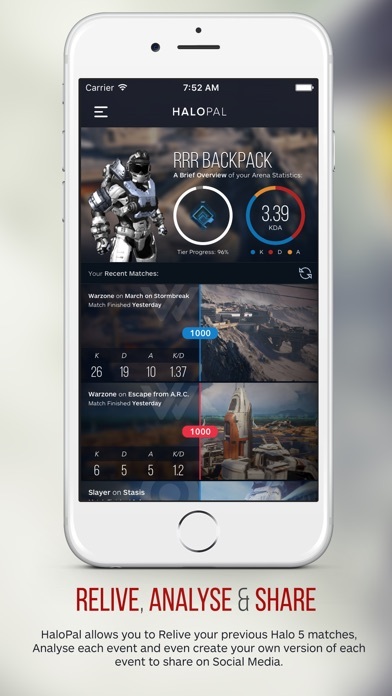 An Unofficial Companion App for Halo 5. 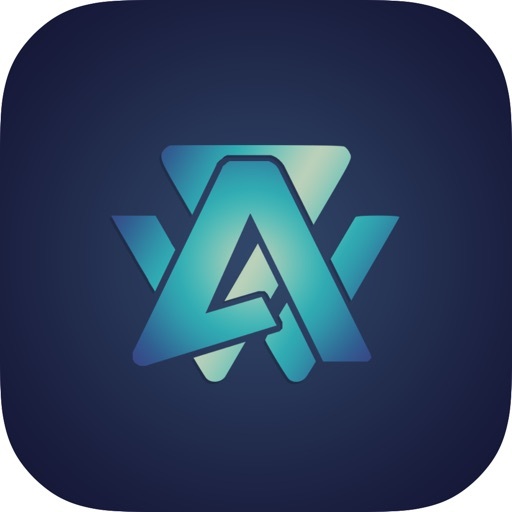 HaloPal - Relive, Analyse &..
HaloPal has been designed from the ground up to enable players to relive, analyse and share events from their recent matches. HaloPal comes with a feature called "LivePlay". Liveplay allows users to relive matches, in realtime, and watch as the match unfolds. See a Kill you would like to share? Just tap the event! You will also see a full timeline of events unfolding in the bottom half of the screen, clearly displaying which events are linked to what. Once you have found the specific event from your match, you can view the specific statistics for that event, view a side by side comparison of stats between the two players involved in that event and even see if they sparked up a rivalry throughout that match. You can also see the location of the selected event. With the Battlecard feature inside HaloPal you can create a visual representation of each Match event. Want to turn your event into a Meme? You can. Why not indulge in a Spartashian selfie? With the props / effects included the possibilities are almost endless. Have fun or brag - it's completely up to you. on iPhone 5 and above you can enjoy all the fantastic features that the match browser has to offer. View personal statistics from every player in that match, their own individual timeline, a graph showing their KPM throughout the duration of the match and more! You can also view a full zoomable / interactive map of events in the timeline browser, if you press on each location it will show you the path between the two players involved. If you hold on the event in the timeline, it will also show you the location and path of that event in the map. Turn any event into a meme, selfie or anything you can think of using the fantastic tools we have supplied. Once you're viewing any given event, you can then press the share button to begin working on your battle card. Share it on Instagram, Messenger, Facebook or twitter to tell the world about it! And the best bit? No Ads! Halo © Microsoft Corporation. HaloPal was created under Microsoft's "Game Content Usage Rules" using assets from Halo. It is not endorsed by Microsoft and does not reflect the views or opinions of Microsoft or anyone officially involved in producing or managing Halo. As such, it does not contribute to the official narrative of the fictional universe, if applicable. This application is offered by Tom Bastable, which is solely responsible for its content. It is not sponsored or endorsed by Microsoft. 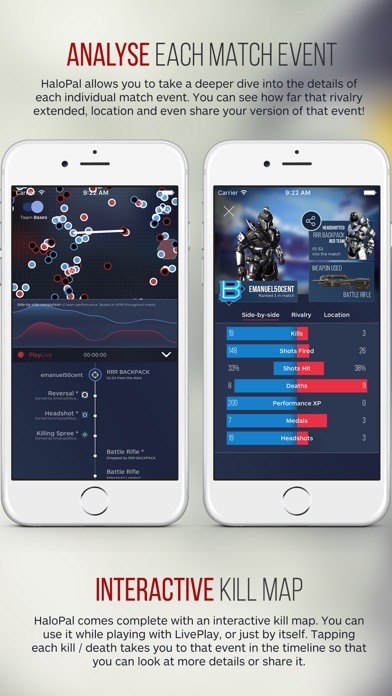 This application uses the Halo® Game Data API. Halo © 2016 Microsoft Corporation. All rights reserved. Microsoft, Halo, and the Halo Logo are trademarks of the Microsoft group of companies. The applications HaloPal - Relive, Analyse & Share. 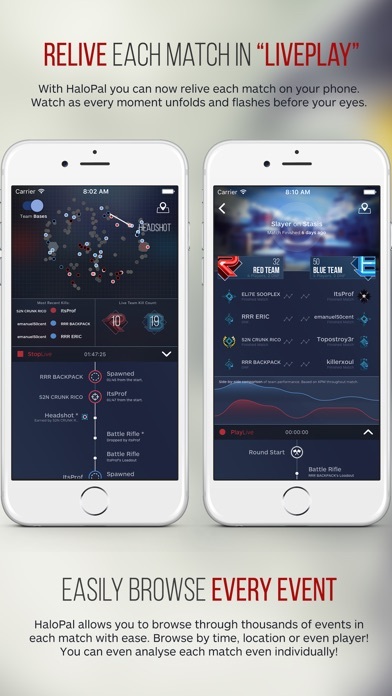 An Unofficial Companion App for Halo 5. was published in the category Entertainment on 2016-05-31 and was developed by Tracker Network. The file size is 31.14 MB. The current version is 1.101 and works well on 9.0 and high ios versions. Minor bugfixes and stability improvements. Do you like HaloPal - Relive, Analyse & Share. 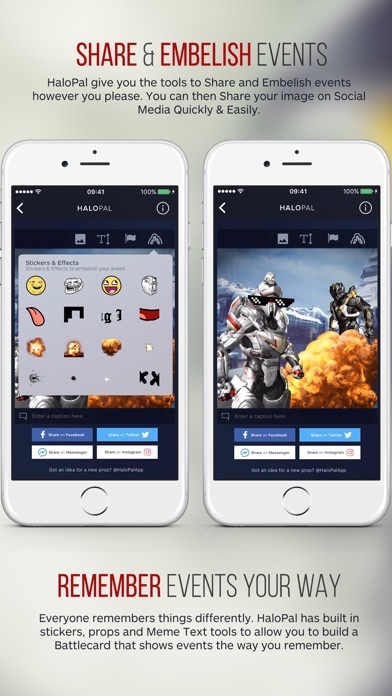 An Unofficial Companion App for Halo 5. applications? Please share! Downloaded the app and I get an error message that won’t load anything after that. I think that it is a realy hood game with lots of potential and i hope that in the future there will be updates for this app. HaloPal - Relive, Analyse & Share. An Unofficial Compan..